Call Us Today! 212-997-4600 Get in touch now! You may wonder why we at Catalyst SPORT like to focus so much on your breathing. 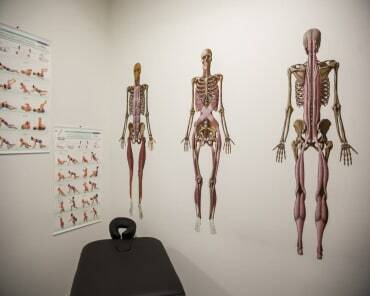 Not only is breathing vital to life, but it also provides a stable platform upon which the arms and legs can move. As you focus on breathing from your belly, you create a core of stability around the lumbar spine. This prevents your spine from moving faster than your arms or legs, preventing limb muscles from tightening to create stability. If that were left to happen, it increases your chance for muscle strains and injuries. The better you breath from the belly, the more stable you are through your core. And the more stable your core, the more stable platform upon which you can move. Breathing really matters during training! Check out the video below, which shows versions of quiet and tension belly breathing. Please share this important blog post with your friends. Whether your aim is to lose that stubborn body fat, improve your diet, train for a marathon, or just feel better in your day-to-day life, we can help! 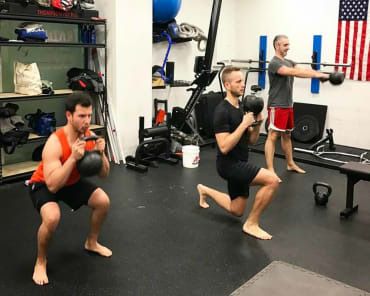 At Catalyst SPORT, our mission is to empower the people of Midtown to change their bodies, and change their lives, by helping them to feel good, move well, and get strong! 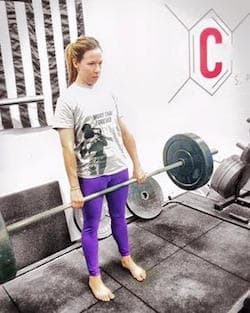 I was looking for a place where I could begin to focus on strength & conditioning for the first time ever, and a friend of mine recommended Catalyst. I am a dedicated student of Ashtanga yoga, and since I have started doing this work at Catalyst, I have begun to see a difference in how my practice is changing. The balance and the play of using both flexibility and strength is rewarding to feel in my practice. Most importantly, I feel very safe at Catalyst in trying all these new movements- I know that I am doing it under guidance from professionals. What a great place and great people. I had a very positive experience and would highly recommend Catalyst. I came to Catalyst to get strong for Muay Thai. Joe Boffi is my teammate at Renzo Gracie Muay Thai and I knew he and the team at Catalyst would make sure I got really good Muay Thai specific strength training. And I was right - amazing training with amazing people. Since training at Catalyst, I can't remember the last time I was injured and that's primarily because I have gained so much all-over strength. I feel consistently powerful through the most grueling fight camps and fights. I can lift more than I ever have been able to and discovered that it's fun picking up really heavy stuff and putting it down.